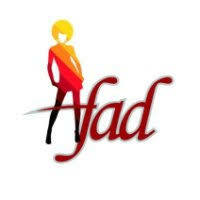 Association of fashion designers of Kenya AFADK is a registered organization with the societies Act. AFADK aim is to ensure that the fashion industry in Kenya is recognizable in the international map through: structuring of the industry within the community as well as incorporating Kenyan culture and heritage in the international fashion. Provide accreditation framework and assessment to its members. Promote excellence in the fashion industry by strengthening range of programmes and activities. To be a national strategic body advising government, industry, education and the community on fashion related topics. AFADK will be a source of designer referrals services. Provide professional advice, design and legal information to its members. Establish, uphold and enforce a high level of professional code/ethics and conduct amongst designers. Be a platform for authoritative design research, knowledge, and information.